I thought I had an easy pass this weekend, I had written two blog posts last weekend before I came back. The first one was the one I posted, the second one I went to post yesterday and of course I read through it first... I then thought better of publishing it, it is a little too raw, a little to much of me.. something I will share later. This quote touched me because I have been feeling very little joy in my life, if I am being honest and I always am... I had begun to wonder if joy was something I would ever feel again. I have happy moments, I have many blessings in my life but I had not felt joy for a very long time. The kind of joy that takes your breath away... that quote made me remember that until I could find the small joys, I will never have the breath taking joys. All of this came from reading what I had written and I wanted to share one small part of it.... I realized I had been waiting for something that was never going to happen, I was waiting for 'I'm sorry' ... and a light came on, where I learned that by waiting I was actually stuck. I didn't like that feeling, that is not who I am, I have survived a lot of trials and challenges in my life that others have not... I not only survived, I thrived and became better for each of those trials. I have decided that I don't need to hear the words anymore, not that it wouldn't be nice to hear but it is not necessary anymore... I believe doing this will bring me some peace... this is somewhat like forgiveness, sometimes you have to forgive, just to free yourself... I have to let that idea go, if I am to free myself to feel joy again. 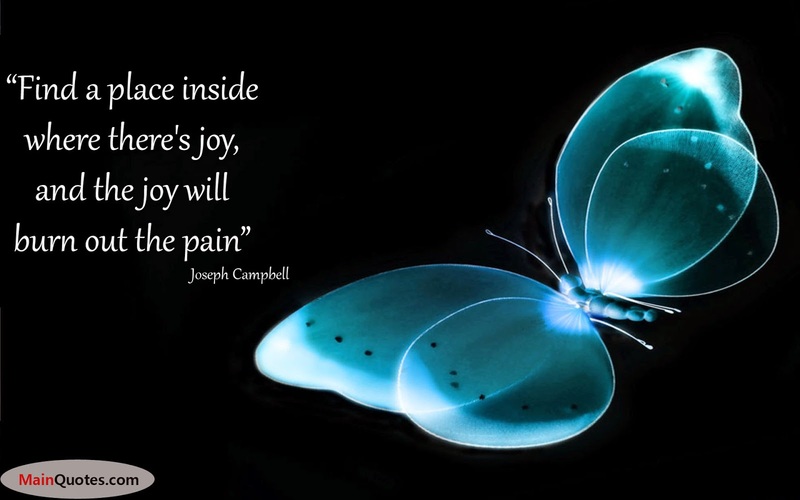 I saw this final quote while searching out quotes on joy and it really cemented the first quote more.. The joy is inside us, for me, I just have to let myself see a small part and that small joy will burn out the pain. I took a step forward today, I made a commitment to myself in that I will take the steps I need to, so that I can feel the breathtaking joy I know exists.. I have to admit that it is a scary thought, because as wonderful as that joy is the flip side is pretty dark... I do believe it is worth trying though, otherwise in a year, I will still be in the same place that I am now and I am not going to let that happen... I lost the weight in less than a year, I will find that small joy... the one that will burn out the pain. I think we all struggle with pains of our past--but all we hurt are ourselves when we do that. I think forgiveness is the best gift we can give ourselves. 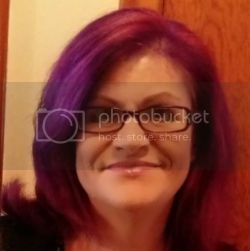 So glad to hear you are making steps forward, Launna! I hope that writing is therapeutic for you. If you were able to pour out all your feelings into a blog post, even if you do not publish it at least it got you thinking! Sometimes I will just get things out by writing them down but never share them with someone. It helps to put all your thoughts together. Hope you had a great weekend! Strong and true words my sweet Launna. 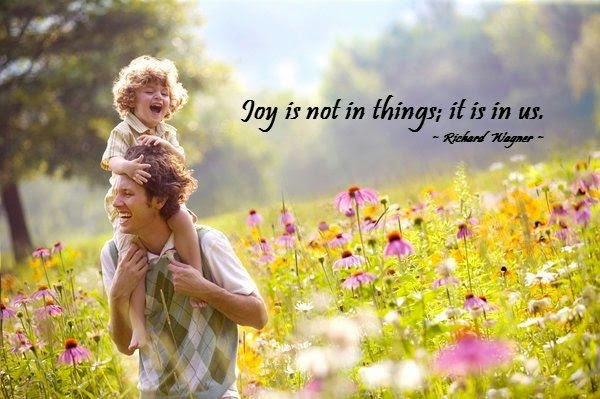 Joy is in us... so true!!! I'm so glad that you are making steps forward!!!! Have a great weekstart honey!!!! Great Letter Launna ,love the Way you go on your mind ,strong Words! First of all, HEEELLLLLOOOO!!! <3 And Launna, I really really missed you! I am glad you're back for good! And Launna, it's true, happiness is not around, but rather, inside you! You gotta forgive yourself first, and realise that you too deserve to be happy! Treat that person in you as a little child..you gotta shower her (yourself) with love to make her (yourself) happy! We always look for someone that makes us feel safe. Have a great day! We are firm believers that inner peace, joy, whatever you will, comes from within us. The difficulty we all experience from time to time is both remembering that fact and also learning how to look inside ourselves. It does take time, but with perseverance what we are seeking will be found. The quotation you include here by Robert Brault is one that we should all try to adopt for in so doing life surely becomes that much easier. Have a lovely week dear Launna! once again this is lovely!! One year at a time is a good way to set a goal. Sometimes taking it one day at time doesn't quite cut it when you look at the big picture. Looking at the big picture you lost the weight you wanted to in a year and at the beginning it may not have seemed possible. I hope next you'll be able to look back to this day and see how much better it all is. It's important to feel joy with the little things of the life!! I love your words! It's a beautiful quote, and I believe that there is indeed so much truth in it. And it can be applied to the big and little things in life. "Life becomes easier when you learn to accept the apology you never got" I've had it stuck on my mind now. Its such a beautiful quote Launna and welcome back to the blogosphere! Hope you've had a great weekend and I'm sure you did! You have a very positive outlook on things! Have a great week ahead and stay blessed! sure that you feel joy in life very soon! Joy can be in everything! Hope you can find it dear! I am sure you do! You're already there Launna, just keep doing what you doing. Life becomes easy when we learn to accept it in every way. It's my take over self slogan :). You're the darling Launna. keep being you, here's a good night kiss for you:) my wonderful lady! Thanks so much for your sweet mother's day wished. ox. i think we all go thru this feelings somethings, there are even times that you already have joy and that could still be taken away from you. Praying for you to find yours! Forgive and forget, those were my mother's constant words when I held grudges a lot as a very young child.. I would always wait for those special words.."I'm sorry" is always good to hear. Yet sometimes we spend to much time waiting for words that never come. I want to be able to let it go, and be like you..hopefully one day I will :) And don't worry, you will find the joy to block out the pain..just continue doing what you are doing, and keep your heart open. Another lovely and inspirational post..why am I not surprised? Yes Launna, what you are telling is correct. If there is joy for all small things there is no sadness in our life and we can live a peaceful life! Hold on to that small joy dear Launna, it will definaltely burn out the pain. Apart from that do you wanna follow each other on Instagram﻿? I think we all struggle with pains of our past--but all we hurt are ourselves when we do that. So glad to hear you are making steps forward, Launna! Ciao my dear Launna, Kisses from Italy! Such a sweet post Launna. A person can never truly be happy replying on someone else. Seems like you are taking the right steps forward and am so glad you made this post to share with you. You now have two new posts for next week. ... and the joy will burn out the pain. i like this quotation. it's so true. and you will find it. i'm very sure you will. You are an inspiration for a lot of us. After reading your posts we all get some kind of lesson. I still have to catch up on a lot of blogs. After going through a lot of problems with my own health, I accepted an invitation from our son and went to Hawaii. I was thinking about a lot of my blogger friends and praying for good for every one. Take care. Launna, I admire how you are so deliberate about making plans and setting goals for yourself and then working to achieve them. I agree that joy is within us. It is sometimes elusive and hard to find, but it is there. beautiful post and I just love the last quote! I think you'll be able to move forward to where you want to, because your mind is set on it. You've already proven and shared that when you're motivated the results do come. I know you'll get to where you want to be. Hugs. So inspirational sweetie! Beautiful quotes and words! Awesome. I'll second that and add that true joy can only be experienced after deep sorrow. Our extremes lend us appreciation of both ends of the spectrum. Our lowest lows help us to understand the wonder of our highest highs. Way to go with your decision to forgive. I'm sure it's a difficult one, but it will make all the difference! Hello Launna, I found you on Keith's blog via a comment you made, and I made one closely after. This is a wonderful post, very encouraging. Thank you so much for sharing. wish you a wonderful rest of the week sweety! I am not sure anymore, if there really is such a thing as real Joy. BUT... I hope you will find it. I still dint see my previous comment here, but that's fine, you've received it. Happy Wednesdays Launna.:). When boyfriends son't remember us is the worst. Hugs! Wishing you an awesome day my sweet Launaa. Have a fab day darling! Amiga tenha um dia maravilhoso. You will find joy and it won't be a small amount. It will be blinding! I can feel it for you. I think once you begin to free yourself from the hurt, the joy that is there will shine and it will be far better than you expected. Your situation, awaiting for an apology is much like forgiveness, like you said. Holding out and waiting is giving the other party all the power and leaving you at it's mercy. It's not an easy feat to just let go and I'm still trying to break free of others myself but I believe you can and will. Like you said, you've been through a tremendous amount in your lifetime, more than anyone should have to endure or face but you've come out stronger for it, compassionate and though it doesn't feel like it at times resilient. I have faith in you that you'll come out on top. The first steps are always awareness and they ultimately are the most vital stages. Sending you lots of love! Launna, the first quote is amazing! Hmmm... it really makes me reflect for sure on some things I wish I would've gotten apologies for. Well, thank you so much for stopping by tonight as it is always so nice to hear from you too and thanks for the compliments on my new dress I made. It made my night to hear from you! Talk soon dear! I hope you have a wonderful weekend Launna. Wish you a joy and blessed Friday Launna. oxox:). hope you do something fun for yourself:). Happy friday my dear Launna!!!!! Good for you! Accepting that an apology may never come empowers you and frees you from expectations, and what's even better, if that apology ever does come sometime in the future, you'll find that it simply doesn't matter. The pain won't be there forever. Just hang in there. Better days are on the horizon!